Summer Cookout Savings & $100 Sam's Club Plus Membership Giveaway | A Savings WOW! It’s that time of the year again – summer cookout time! Besides grilling, we love having other meal options for our cookouts. Sandwiches are a quick and easy option for meals, especially because each person can make it the way they want. Our favorite deli meat to use in sandwiches is the Oscar Mayer DeliFresh Oven Roasted Turkey Breast. Having them in these handy Zip Paks makes it convenient to throw in a cooler. 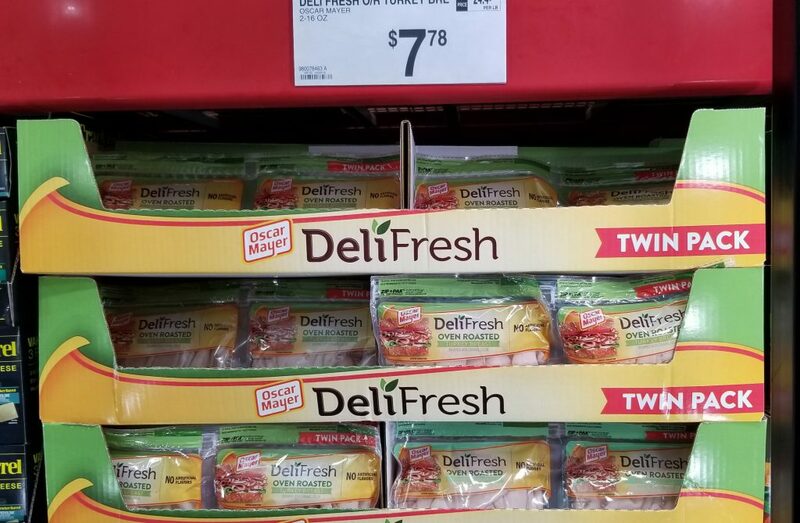 Along with the deli meat, make sure you get all of the sandwich supplies you need – bread, cheese, tomatoes, lettuce, ketchup, mustard, bacon, and other toppings! ​Disclosure: This post is sponsored by Savings.com. All opinions are our own, honest opinions. Besides Oscar Mayer DeliFresh Oven Roasted Turkey Breast, you can save on many more cookout essentials by buying them at Sam’s Club. Sam’s Club members can get all of their summer cookout essentials at great low prices. Valpak envelope to get additional information on the great low prices available at Sam’s Club and for a chance to find a $100 Instant Win check. Enter to win a $100 Sam’s Plus Membership gift cards to help with summer grilling! Ten (10) winners will receive a $100 Sam’s Plus Membership gift card from Sam’s Club. Head to the Sam’s Club page on Savings.com and submit your email address on the form at the top of the page here to enter the giveaway. The winners will be chosen through a lottery drawing and notified on Monday (6/18) via the email address they used to enter. See complete Official Rules for entry instructions, full prize descriptions, restrictions and other important details. Read this post for more tips on how to save money at Sam’s Club.